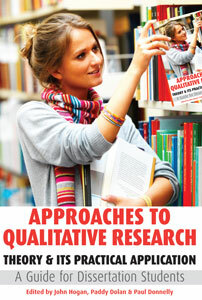 APPROACHES TO QUANTITATIVE RESEARCH is designed for both undergraduate and postgraduate business students who are planning to undertake a research project or dissertation. Due to a lack of formal research training and experience, students can find completing research projects a daunting task. This, coupled with a fear of statistics, can culminate in quite an overwhelming experience for many students. 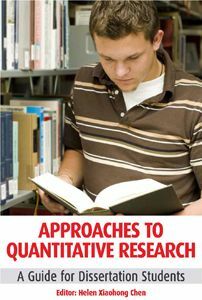 Therefore, APPROACHES TO QUANTITATIVE RESEARCH takes a practical approach to quantitative research techniques by providing step-by-step guides to their application and interpretation. By using easy-to-understand language, while at the same time not losing the statistical underpinnings, as well as downloadable datasets, this book demonstrates how to use the appropriate quantitative methods to answer different types of research questions, and how to analyse data by using SPSS.